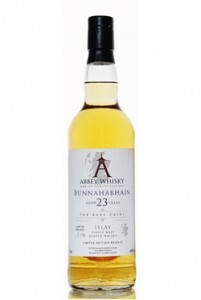 Abbey Whisky’s Bunnahabhain from their Rare Casks series. A 23yo elegant stunner. I’m going to limit the preamble in today’s review because the whisky is going to be better than anything I have to say. Let me quickly say, however, that Abbey Whisky seems to be on to something here, and that something is choosing good casks of whisky to bottle. 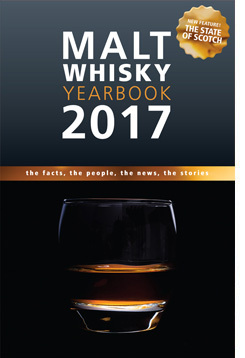 First they released a 17yo Caperdonich and now they have this 23yo peated Bunnahabhain. On the nose – Peated Bunnahabhain is *so* peated Bunnahabhain. Quite unique. Peppery upfront but the peat is soft which I am guessing is due to the 23 years in the refill bourbon cask. 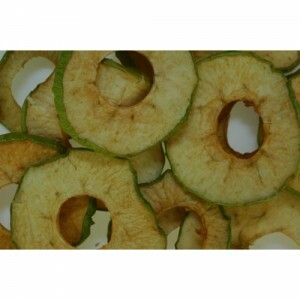 Smoked and dried granny smith apples. Bit-o-Honey candies (a wonderful honey and nutty mix of flavors). Wildflower greens (minus the flowers) gives this whisky a very late summery feel. A touch of pool water here as well. 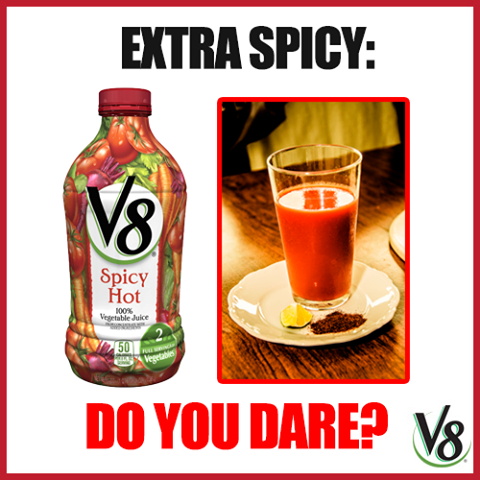 Though bottled at 44% ABV, the peppery quality gives it a touch of sting in the nose. Heavily salted Tomato Juice (like the V8 Spicy Hot stuff). So far so yummy. On the mouth – Soft, delicate and nowhere near as peaty on the mouth as it was on the nose. Very vegetal (as the nose suggested) with hints of lemon, minus any sugar that might be associated with lemons. 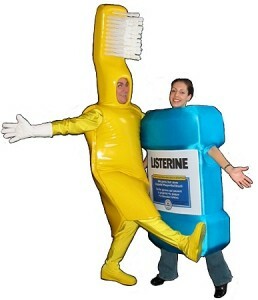 Medicinal and Listerine like but in a very comforting way. Those wildflower greens are gone but the flowers make themselves know. This is, ummm, lovely stuff and it begins to grow in intensity as the finish nears. Finish – Lovely spice and great Islay character. The finish sticks to your gullet and you’re happy for that! In sum – One of the better, older, peated Bunnys I’ve ever had. Like grilled peanut butter and jelly on seeded rye bread, all of pieces go together so well for me. I sort of wish I had a full bottle to open and share with friends in a single night. We’ll finish together in a few hours. Yeah, it’s that good. Special thanks to MS of Abbey Whisky for the surprise sample! Previous PostHighland Park Loki – Another fun Marvel Character but this time its a Villain!Next PostTwo whiskies from Bruichladdich that I’ve been meaning to review since… 2010!